It seems every day of the year is now a day for something or other, and today is no exception as it is World Dracula Day. That’s right, Dracula has his very own day. The Dracula myth of today’s popular culture comes from the 1897 novel of the same name by Bram Stoker, yet the legend of Dracula far pre-dates that date and is inspired, loosely, on Vlad III Dracula of Transylvania in modern day Romania. 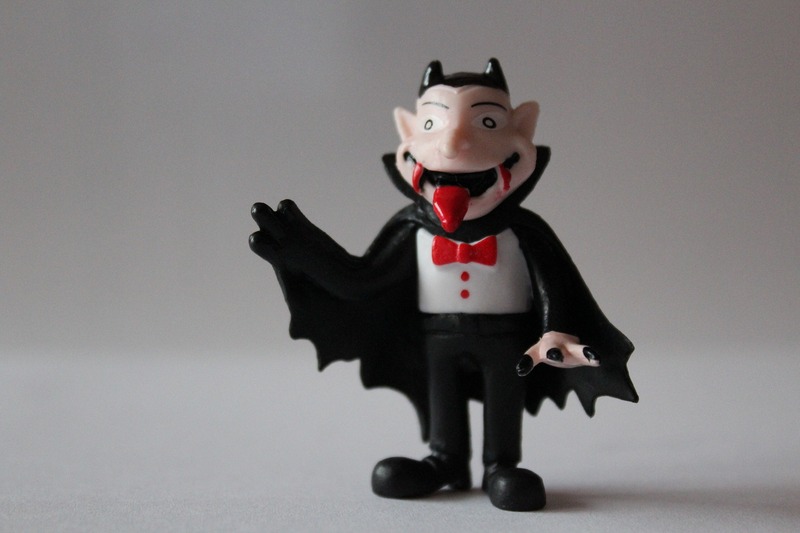 Few characters from literature have captured the imagination as much as Dracula has., with scores of movies and TV shows based upon Dracula and his dark, realm of undead vampires. Bran’s castle, situated in the town of Brasov, imposes its presence over the town in truly dramatic Hollywood horror style. It is no surprise then that this character of Dracula, part fiction part horrid history, has struck a chord with so many across the ages. Today might be World Dracula Day, but Dracula and indeed vampires in general, go hand in hand with Halloween and therefore, where better in the world to celebrate Halloween than from within Dracula’s Castle itself? Well, with Mark Bratt Travel, you can do just that (and still be home in time to go trick or treating around your neighbour on Halloween itself should you so wish). Halloween in Romania – when the ghouls come out to play? After arriving in Brasov and getting suitably dressed for a Halloween experience like no other your evening will begin with a traditional 3-course dinner in town (we are assured that the meal does not involve the drinking of human blood!). After dinner, you will take a night tour of Bran Castle – who knows what is lurking in the darkness of this 14th century Mediaeval castle? After the tour (with English speaking guide) you will witness a Wicked Fairies Dance in the castle’s inner courtyard over a glass of local red or white wine whilst ambient Halloween music fills the air. Classic horror movies will be projected for your enjoyment and from 9pm a Halloween After Party like no other will begin within the grounds of Bran Castle, where you can party all the way through until 4am (and with your accommodation just 300 metres from the castle, you have an easy walk home whenever your feet get tired). The all-night Halloween party in Dracula’s Castle is on October 27. If the thought of risking an evening in the company of Dracula himself is too much for your nerves, why not enjoy a Halloween party packed with traditional, cultural and unique entertainment in the beautiful setting of Sighisoara Citadel? Starting at 8pm with a welcome drink of “water of fire” (their words not ours) and with a Master of Ceremony who claims to be ‘one of Dracula’s many subjects’, this event will certainly get you in the Halloween spirit (helped by an open bar until 1am). The entertainment kicks off with “Witchery Moments”, performed by two of Europe’s most innovative and dynamic magicians who will make the impossible possible by combining magic and illusions with dance, ballet, comedy and much more. The entertainment begins at the Citadel. After your first course, the entertainment levels continue to intensify, firstly with a story of Vampiresa Hunting, before The Ritual of Killing of the Living Dead commences. Performed according to the old burying ritual in Transylvania, the ritual is meant to reveal who was dwelling in the magical realms of Transylvania prior to vampires. You’ll attend the re-enacted killing of a vampire and you’ll be part of the crowd seeking to take the bloody creature to a special place where the ritual can begin. This is a performance like no other we can certainly assure you. As midnight approaches and assuming you have not lost your appetite (and have survived the vampire hunting and ritual of course) up next is the main course of dinner accompanied by a glass of champagne. Then, you need to be ready to unleash your inner werewolf for the Best Howl at the Moon competition after the dinner has been consumed. People partying in full costume inside the Citadel. Prizes on the night will be awarded to the man and woman who have the best Halloween Costumes. From there, potentially with your best-dressed prize in hand, all that is left to do is to enjoy the devilishly sugary sweet bar and undertake dancing until dawn. Sounds pretty spectacular, doesn’t it? The Sighisoara Citadel cultural Halloween dinner takes place on November 2. Both trips can be booked as part of a short break to Romania (we would recommend an itinerary for you based on which Halloween party you chose) or worked into the middle of our longer Romania tour which can be viewed here. Whichever option you go for we are certain that you will enjoy a Halloween like never before. After all, how many people have partied with Dracula at Halloween and returned to tell their tale? Prices start from £495 per person based on 2 people sharing a double room and include flights from London Stanstead to Bucharest, 4 days car hire, 4 nights accommodation on bed and breakfast basis in 3* and 4* hotels (2 Nights Bucharest/ 2 Nights Sighisoara), ticket to Halloween party on 2 November including 3 course dinner and an open bar from 8pm to 1am. « South Africa Water Drought: To Stay Or To Go?